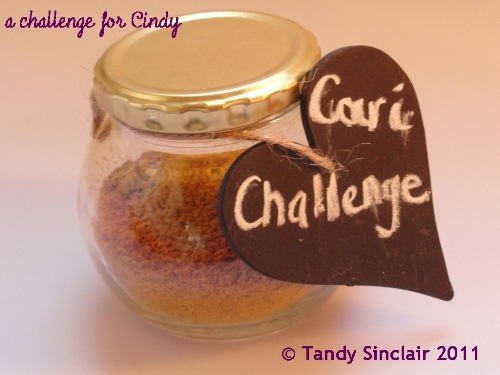 The lovely Celia, who blogs over at Fig Jam and Lime Cordial, has challenged us to share what is new in our kitchens – do pop on over to her blog if you want to take part in this. 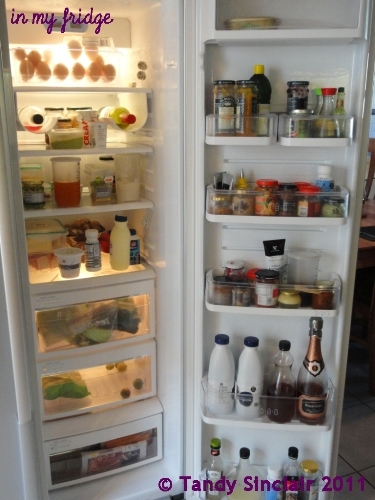 Welcome to what was new in my kitchen in November which I am posting in December 2011. 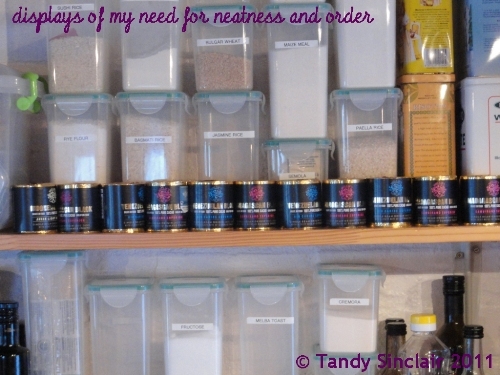 Last month my friend Sue showed us her pantry cupboard – so I decided to add this to my collection. The cupboard pic was taken before Dave decided to redo my kitchen so next month you should see a lot of changes. 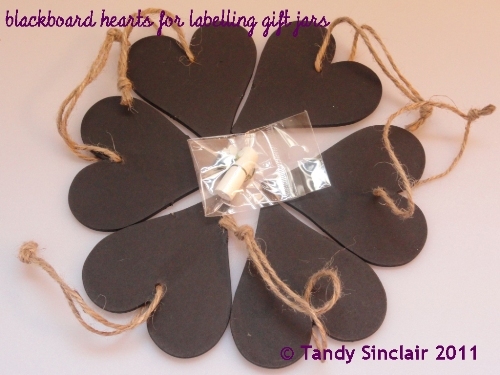 I bought a set of blackboard hearts to mark gifts with – one gift has gone to Cindy for a challenge. We always have open red wine (for us), white wine (for cooking) and rosé wine (for a friend) and I always seem to need tops for the wine. We have a great vacuum sealer top for the red wine which sits on the table, but the wines in the fridge need something more secure. 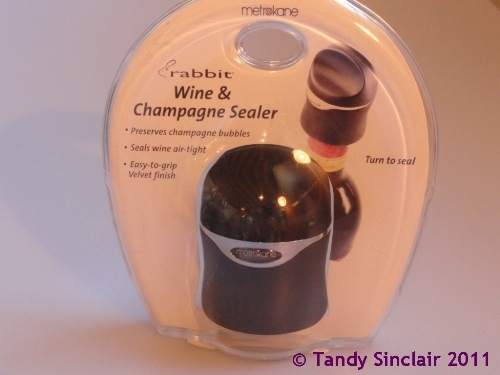 I have two of these rabbit wine sealers and can highly recommend them. 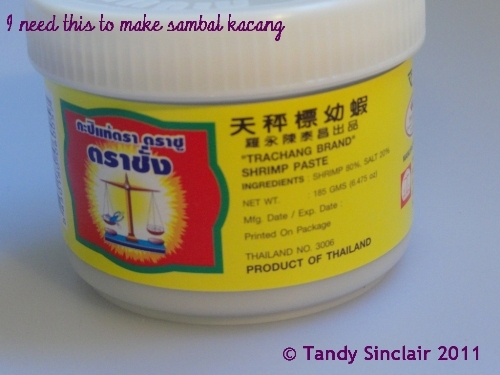 I needed shrimp paste and could not find any in Somerset West. I went to meet my friend Sam for lunch and as I was early, I dropped in to Giovanni’s in Green Point to get some. The driving around Green Point was horrific, but the purchase of this one item was worth it. I have one silpat and find it amazing, and so with my voucher from yuppiechef for the enkosi cookathon I got myself another one. I am planning on using it to roll out pasta dough for its first use. I also won this lovely Joseph Joseph measuring spoon – so fr it has only been used to hold my recipes on the fridge. part of the remodeling means putting my collection of Willies Chocolate on display. Maybe now I will remember to use it more often. 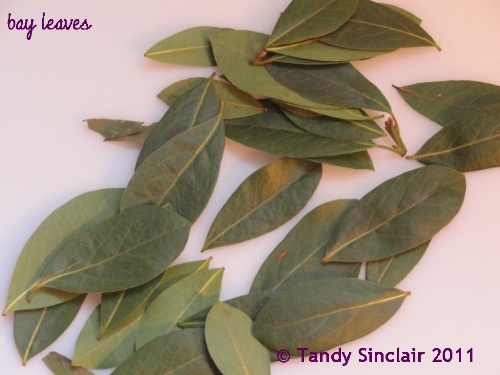 My sister has moved to Sydney and before she left I asked her to pick some bay leaves off her tree. I have never asked her before but they were great in the bobotie I made for her and this is the first time I have a bunch of fresh leaves to use. 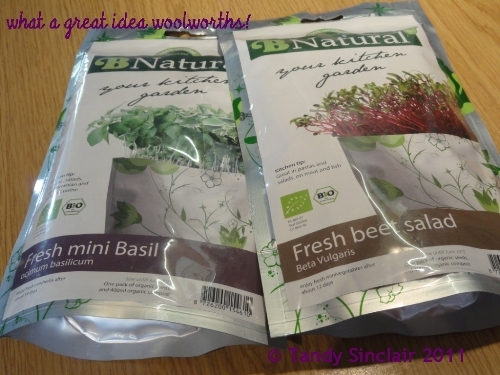 I do not have a windowsill in my kitchen but these have been purchased for use with food even though the grow packs are in my lounge. I have had great success with the basil which I opened first. 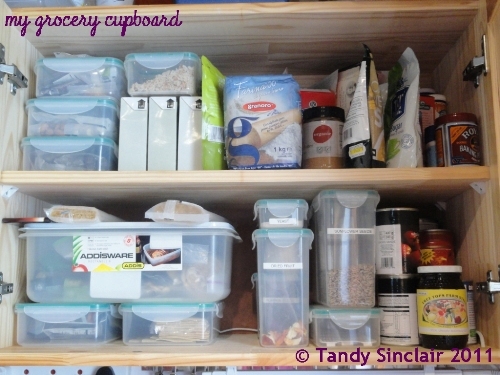 Very organised kitchen…gosh, I would not dare to show my messy shelves. They are well and truly due for the big clean out we do at Christmas. You really have great treasure in your kitchen! 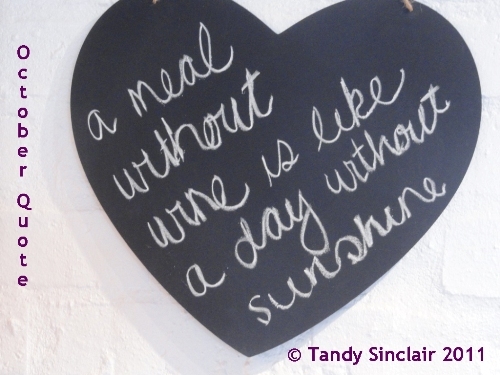 The blackboard hearts are so sweet and informative- your cabinets and fridge so organized- and the silpat mat so useful- it was a delight to visit! I will sign up for e-mails as well now, thanks! Tandy, you are so organized!! I feel and work better when I know I have everything in its place and can open my pantry and see everything organized!! I’m loving those chalkboard tags!! What a great idea! 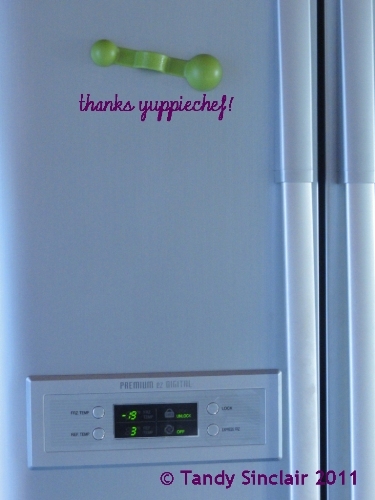 How fun to peek into your kitchen!! Tandy, you’re so organized!! I really like those chalkboard hang tags! Great idea! so fun to get a peek into your kitchen! I’m so impressed with how organized you are…labels on the containers really must help. I’m going to start making cookies and will use my silpat for rolling the dough. Thanks. Look how organized you are. I spy some bubbly! bubbly is an important part of life! You are indeed a very tidy girl and a kitchen remodel.. how exciting.. Maybe i should show my kitchen this month.. have a lovely day and I agree NEVER leave bubbles in the bottle! 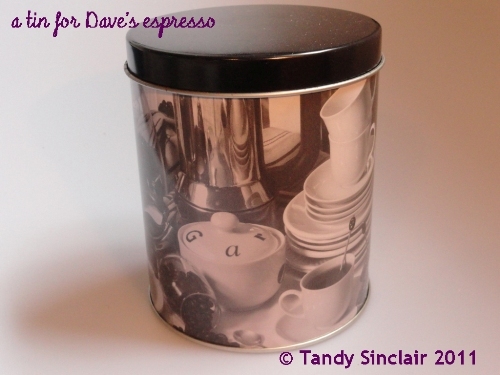 Those basil seeds have inspired me to go back and have another go…. Will you PLEASE come organize my kitchen?? ha ha, does she take money out of it at the same time? You´re so tidy – I´m envious! Love those hearts, really gorgeous. some would call it obsessive Tanya! I have to think of a new quote for today! Thanks for sharing and once again inspiring us. I got my shrimp paste from Woolies, re-seal wine? not in this house! 🙂 I like your blackboard heart with the quotes. 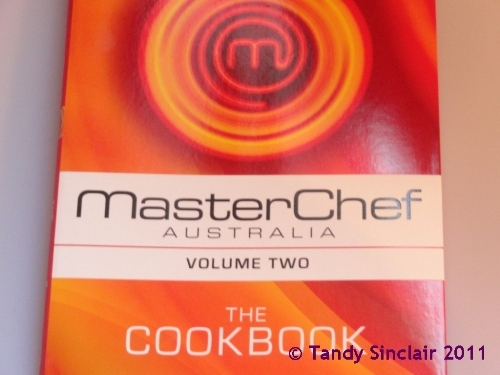 WOW – what an extensive and impressive In your Kitchen this month Tandy! Great post! Tandy! 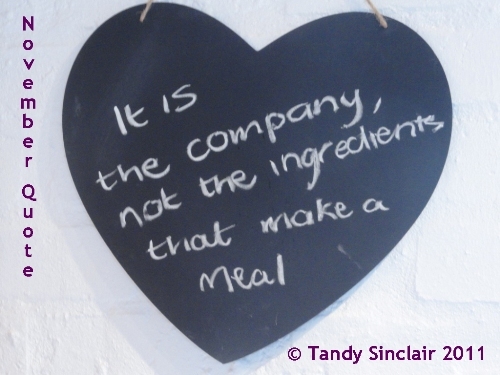 What an amazing IMK post! So much to see, thank you so much for joining in! I have two blocks of Willie’s chocolate, and I’m hoarding them, so I let out a little squeal of delight when I saw you line up! 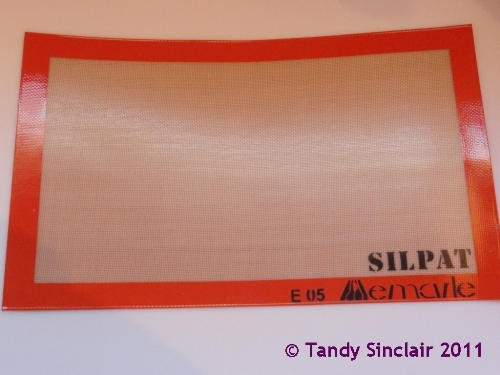 My silpat mat needs to get an airing, I was given one as a gift, but I still haven’t used it yet. And I love those champagne stoppers – we have a stainless steel one, and it’s amazing how well they keep the bubbles in! Have a great December!